Content Creation. Brand and Social Media Strategy. Content is most definitely king and queen. Digital marketing is full of buzzwords that come and go but content marketing is here to stay and important to help you achieve your social media business goals. HearHere is a content marketing agency that listens to your customers, delves in to all the data available, and creates content that is builds brand, is on message, and in all the right places. Let HearHere create and manage the stories of your brand. Who is your customer? What do they want from you? Where are they in the buying process? What content are they looking for to see from you? How do we get them from being engaged to actively buying from you? HearHere will help you define all of this and more. From SEO rich blog posts to how-to videos, from instagram stories to social media competitions, HearHere create content that works hard to drive traffic and sales but also tells your brand story. Which platforms will work best for you? Facebook, Twitter, Instagram, Snapchat, Youtube? When and what should you be posting? HearHere will devise a digital strategy that gets your voice in all the right places. Social Media management takes time. Your social is your highly visible public face which needs care and attention. HearHere will look after your social media leaving you to get on with that long to do list you already have. To begin to create a social media marketing business plan, we listen. What are your goals, what is your customer persona and how do you want people to see your brand online. Data is invaluable when devising a digital marketing strategy. We analyse, interrogate and scrutinise to uncover truths about your customers and their interactions online. Videos, blogs, social media posts, polls, gifs, competitions – HearHere are experts in social media content creation that has impact and is seamless across the platforms. We never sit still on our laurels and constant reviews of your digital communications will ensure the success of your digital marketing gets better and better. We all have our own stories, and here is ours. 1999 seems a long time ago but that is when we ventured in to the brave new world of digital. Since then we have developed best practice as branding consultants and content writer services for both online and offline. With backgrounds in Direct Marketing, our copywriting services are aimed squarely at getting a response. Whether it is SEO copywriting or copywriting for websites, its creativity contains content that will drive business growth. We have created stories for businesses of all shapes and sizes. 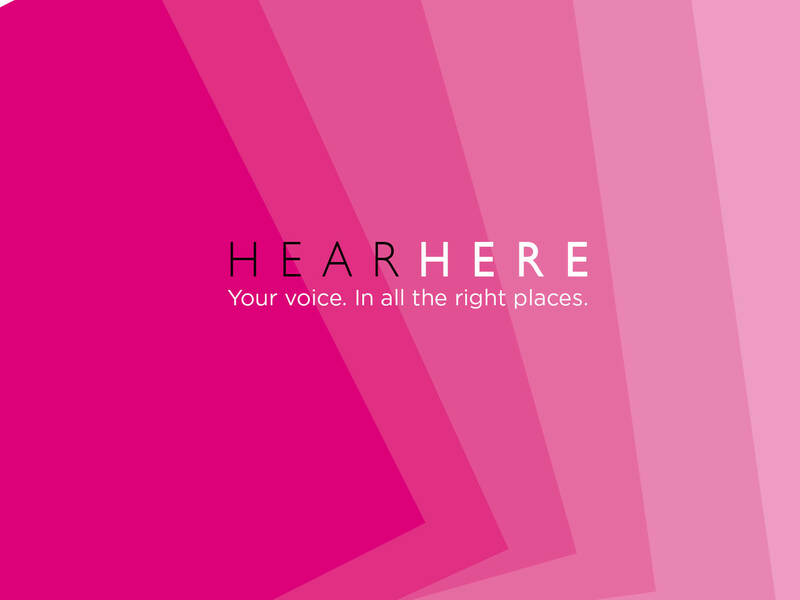 Whether you are looking for a voice for a new product or need to re-think how your business looks, feels and talks, then HearHere have an abundance of experience in finding the right tone. HearHere have a wealth of experience creating brand logos and branding, online animations, viral videos, blogs, email marketing designs, and websites that achieve business success – from full scale campaigns to targeted promotions. Leisure, travel, sports, technology, banking, the list goes on and on. What connects them all is our drive to use content marketing to increase sales, grow brand awareness and achieve very real financial results. Creativity is at the heart of what we do but we also believe that good content and social media should drive business growth and that all work ultimately achieves its own goal. HearHere is a content marketing agency that develops digital strategy for brands and creates content that will get your voice heard in all the right places.